She's Fantastic: DC Collectibles SUPERGIRL (and Customization)! DC Collectibles SUPERGIRL (and Customization)! 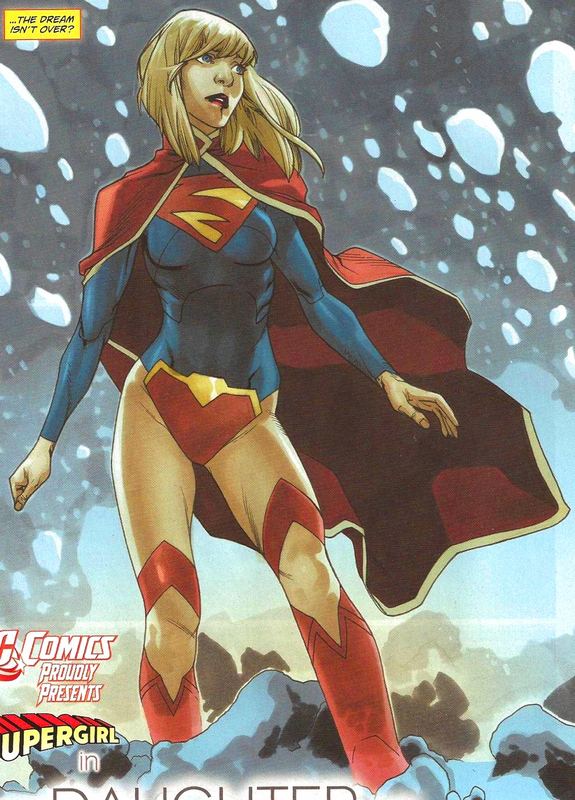 Supergirl is one of my favorite characters since the DC Comics New 52 reboot in 2011. Some of my tried and true favorites (like Batgirl) have been a little "meh" since the switchover. 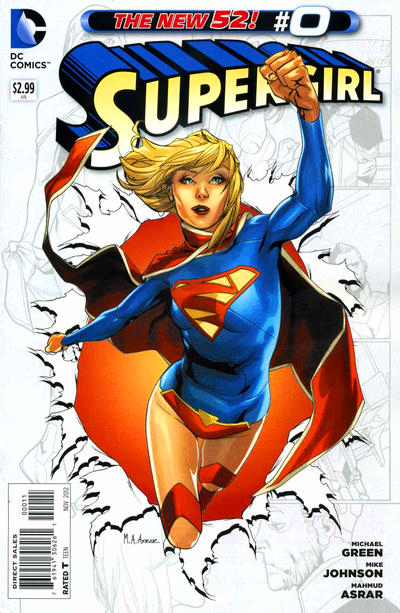 But for me, the surprise standout has been Supergirl. Her book has had great artists and writers and the new costume design is my favorite of any of her numerous looks. DC Collectibles has really been doing an amazing job in the last few years. This Supergirl figure was revealed right before Toy Fair this year and she looked like perfection. She was one of my most anticipated figures of the year to be honest. But when I ran to the comic shop today to pick her up, I can't deny that I was extremely let down by yet another weird set of facial paint apps. Her eyes just looked wrong. Earth 2 Wonder Woman and Huntress had similar problems. Luckily I knew I would be able to touch her up just enough to quell my concerns. My customization shots will be at the bottom of this review. Let's check Supergirl out below! Okay. So while the paint apps aren't the worst thing in the world, there are a few problems that stand out. First off, her eyes have a heavy line of mascara on the lower lid, with hardly any on the top. Then the eyeshadow area has no paint apps and the eyebrows blend into the skintone. And on top of that, her neutral lips make her look seasick. Her articulation is decent, but pretty hindered by the cape. As far as I can tell, that big ab-crunch joint is for show only - mine wouldn't budge. Supergirl comes with a Kryptonite shard which she can hold in her Left hand. Okay. Repaint time! First of all, I used a Mr. Clean Magic Eraser to remove the majority of the excessive eyeliner. This did wonders. Then I added a pinkish eyeshadow and a similar color lip. Then I added some upper lashes with dark brown (and in the process I had to repaint the little white reflective dots on her irises). I literally spent 20 minutes and I'm really pleased with the results. Now that I'm not focusing on her crazy eyes, I am blown away by the amazing Jonathan Mathews sculpt. She's beautiful. Here she is with DCC Wondergirl and Power Girl. You really improved this figure,Great work! This is another one where I didnt like something about the face but wasnt sure what but now I know it was the paint. I think I really dont like the neutral lip color that they use here and there. Thanks! Yeah I don't understand neutral lip colors like that. I don't necessarily like a "lipstick" look either, but a natural caucasian lip should be more on the pink side. The shiny tinted-flesh color that they use make them look a little zombie-like. I just wrote a long rambling, sleep-deprived reply but then it deleted! haha. Glad I was able to expose you to the New52 Kara. I think it's consistently been one of their best books. Even that Red Daughter of Krypton storyline was amazing (I honestly thought it would be a train wreck). Steph as Batgirl was one of my favorite runs of all time. Babs in the New52 has been a disappointment. Although that Batgirl: Future's End One-Shot from last week was absolutely amazing. Soooo many Batgirls in one issue! Plus tomorrow Steph makes her return as Spoiler in Batman Eternal. If the Future's End stories are to be believed, she'll be back in the cowl in 5 short years. 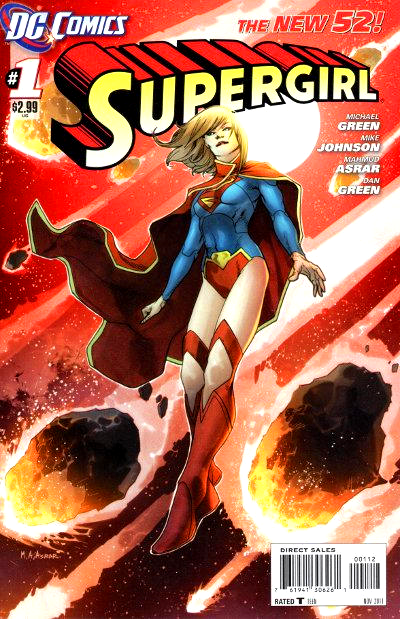 SG is one of my top 3 books in the new 52. The Red Daugher of Krypton was the best storyline DC has had in 2014 in my opinion. I LOVED What they did with her and I REALLY want a Red Lantern Kara variant or something. It would be awesome. Love this figure (minue the crazy eyes as well) but otherwise she's perfection. You know, I didn't think about overall storylines for 2014. But you're completely right; Red Daughter was one of the best storylines this year. If we don't see a Red Lantern version of her solicited by this time next year, I'll think I'll attempt a custom. That's one good thing about the upcoming Supergirl tv show; there will be a lot of attention paid to Kara in the toy world. I'm personally not looking forward to the show. I can't get into the teenage-soap-opera style of the DC tv shows... although the saving grace is that it apparently won't be on the CW now. Time will tell. Customizing n00by here... but I've been unhappy with the Earth 2 Superman figure (eyes), and am worried about customizing this Supergirl figure. The mods you've done are amazing, and I was wondering what kind of equipment (other than the magic eraser) you used. Do I need to get some Testor paints from a Hobby store or something and a really fine-tipped brush? I'll move heaven and earth if I can make little details like that really "pop" the figure like you did. Bravo! Good question! My best advice is to spend your money on a good brush with fine point. That will make all the difference. The paint I use for these touch-ups is super-cheap. I use Apple Barrel craft paints (the little tubes that cost 99 cents at ACMoore, Michaels or Walmart). They are all very flat in texture, so I also buy two tubes of clear glaze from the same aisle (different brand though I think): one in gloss, one in satin. I use these to get the right sheen once the color is right. And if your final job looks too shiny, you can just gently rub it with your thumb and it will dull the shine. If you have to paint a large glossy area (like catwoman's black bodysuit, etc) I suggest using Model Masters paint. I've never seen model masters in a store, but I've ordered it online for roughly $3 per small testors-size jar. I've found model masters to give really smooth and even coats. I used it on a Batgirl Covergirls statue custom I posted on a couple years ago and loved the results. But for small detailed, colorful paint corrections like eyes and lips, I would stick with Apple Barrel with glazes to match the sheen. Good luck and thanks for the question! Thanks! Just yesterday I was considering buying her DCC Mini-bust in this same style. That piece always had some crazy eyes. I'm getting more confident with my repaints so I might give it a shot if I can find her cheap.